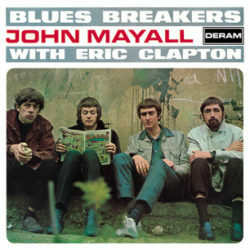 I’d never heard the name John Mayall before this album came across my playlist, but I did know of Clapton. Thinking about it, though, I don’t believe I’ve ever listened to any Clapton albums before, but am sure I’ve heard some singles from him in the past. I know Clapton has a huge cult following, and after listening to Blues Breakers, I can see why. This album is striking. A number of the tracks come off as raw and emotional, even without a ton of lyrics. This is showcase in how music can create emotion. There are some powerful tracks here, and I’m really interested to see what else the blues genre brings me on this journey.